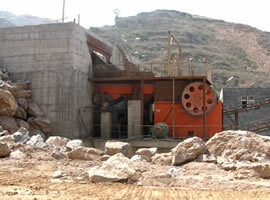 China cone crushing plant for hard materials is developed by Henan Fote Heavy Machinery Co., ltd. 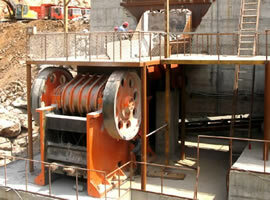 This crushing plant is dedicated for processing hard and medium-hard materials. In terms of production and technique index, China cone crushing plant for hard materials has great competitiveness in the domestic market. The main equipment configuration of China cone crushing plant for hard materials: vibration feeder, jaw crusher, cone type crusher, vibration screen, conveyor belt and electric control cabinet. The whole production line forms a complete production system. China cone crushing plant is capable of crushing all kinds of non-inflammable and non-explosive materials whose Mohs hardness is less than 9 and humidity less than 6. It is particularly suitable for crushing various hard and medium-hard rocks and ores under 350 Mpa, such as iron ore, basalt, granite, limestone, cobblestone, etc., widely used in mining, cement, metallurgy, sand making, highway and many other fields. 1. This production line's daily working time is 12 hours. Its daily output can reach 1000 to 2500 tons and annual output is about 800000 tons. Big output and good economic benefit. 2. This cone crushing production line can produce a variety of discharging granularity, meeting different production requirements. 4. In the crushing operations of hard and medium-hard materials, FTM cone type crusher is made of superhard materials, with high wear and impact resistance, long service life and low maintenance costs.